Cat people and experienced travellers. Extremely well house trained and good cooks. Can find their way around a kitchen and city. We are a friendly and (quite) energetic mature couple with a lively outlook on the world. 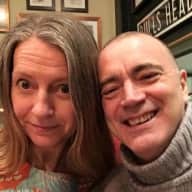 John is a graphic designer, and I have recently changed career after 25 years working at a University to set up as a self employed designer, making handmade men's, women's and children's clothes. We are both well-travelled, and very experienced in self-catering. We love to seek out the local food shops and restaurants. John is usually on first name terms with shopkeepers and restaurant staff within minutes! To relax, we enjoy cooking lovely food, watching films, curling up with a book and a cat. 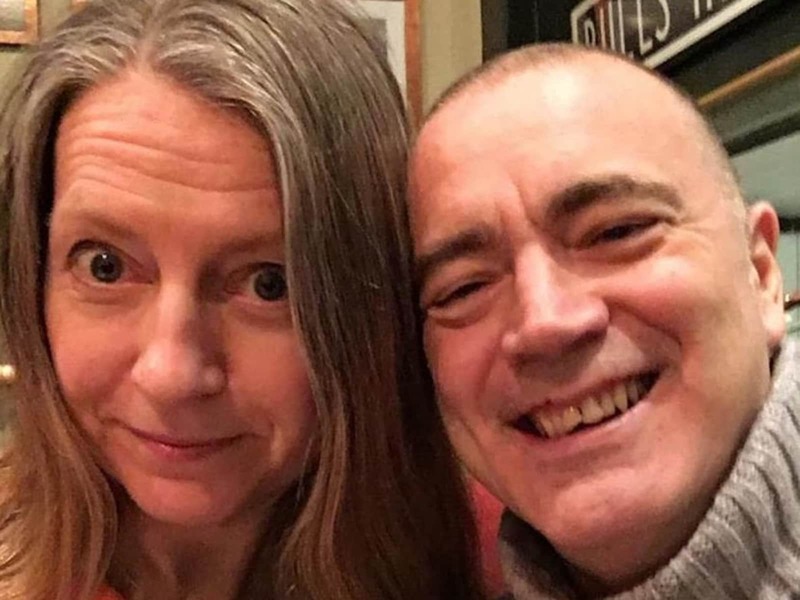 We are both active and sporty: John swims and plays squash, I run, cycle and do yoga. We love going to art galleries, and good conversation, and enjoy going to the occasional gig and the odd night out dancing, but when we close the front door we value peace and relaxation. Even cat lovers need a holiday! We love our cat and our home, but also need a change of scene from time to time to perk up our senses. Unfortunately it is not practical to take our cat on holiday with us, so whether we go to the countryside, seaside or town, I am always looking for a little furry feline friend to offer some love and cuddles. When we are away, we like to be able to cook for ourselves, and have been told that we are excellent houseguests, and have been trusted with our friends apartments and pets. That is why Trusted Housesitters seemed such a great idea for us! We have been home owners, both as single people and then together for 30 years, and fully understand the importance of looking after a house, keeping it clean, safe and secure, and respecting people's possessions and privacy. I am told by friends that I am a cat-lady: even the shyest cats often come to me, and I find it easy to form a trusting relationship with them. I understand when they need food, play, comfort, cuddles and sleep, and I notice when they are under the weather, may need medical attention, and when to call a vet. Apart from a brief period as a student, I have lived with and cats all my life, and cared for them at all stages of their lives. As well as taking in a beautiful stray boy cat who lived with me for 18 years, I have lived with some interesting and demanding breeds: I grew up with Siamese cats (male and female), and currently I'm the loving servant of a two year Bengal boy. He is very popular in the neighbourhood, so there is no shortage of people to look after him whilst we are away. Alison and her partner John borrowed my flat in Barcelona for a week. They left everything immaculately clean and I have no hesitation in recommending them as house (and pet) sitters.